This biography is very well written, engaging and clear. It is well illustrated with maps and photographs and draws upon a wide range of original sources. Lieutenant Colonel the Rev Bernard William Vann, VC, MC & Bar, Croix de Guerre avec palme, was one of only three Anglican clergymen to command an infantry battalion on the Western Front in the Great War and he was the only Church of England cleric to win the Victoria Cross as a combatant. 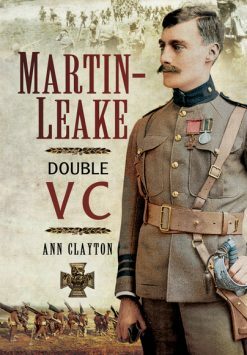 His gallantry award of the Victoria Cross together with the Military Cross and Bar were the highest recorded by any individual in The War List of Cambridge University.He excelled as a soldier setting a high standard for his men and his fearlessness was legendary in his brigade. He excelled as a soldier setting a high standard for his men and his fearlessness was legendary in his Sherwood Forester Territorial Brigade and beyond. The accounts vary but he was wounded between eight and thirteen times but would only wear five wound stripes on his uniform. His strong personality left a lasting impression on those who came across him whether at university, in the church or in the army. The Bishop of Southwell described him as “…bright, happy, determined – a true leader of men.” General Allenby had great respect for him and asked him back for dinner after they had had an altercation in a front line trench. A muscular Christian from a relatively humble background in Northamptonshire, Bernard Vann was greatly influenced by his father’s Victorian values of duty, self-help and mens sana in corpore sano. He became a talented sportsman. By the age of 19 he had played centre forward as an amateur for Northampton Town, Burton United and Derby County. He scored a goal against Wolverhampton Wanderers and led the attack against such sides as Chelsea, Burnley, Aston Villa and Notts County. During the week he would sometimes also be playing hockey for Leicestershire. He became a hockey blue at Cambridge and reached the rank of sergeant in the University’s OTC. He was also captain of football at Jesus College where he was the co-founder of a debating club, the Roosters, which is still in existence. Following ordination, Bernard was appointed as an assistant curate at St Barnabas in New Humberstone, Leicester before moving to Wellingborough School as chaplain and assistant master. 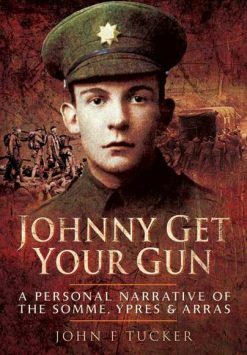 With his brother Harry he volunteered for the army in August 1914. Until his death on 3rd October 1918, four days after the crossing of the Hohenzollern Line, for which action he received a posthumous Victoria Cross, he remained a committed Christian at the front, holding services and communion when the Brigade chaplain was unavailable. On at least one occasion he went out alone into no man’s land to read the burial service over fallen comrades. His young widow did not pass on his papers to the family and this has led to speculation and assumptions about his life which are not borne out by the facts. 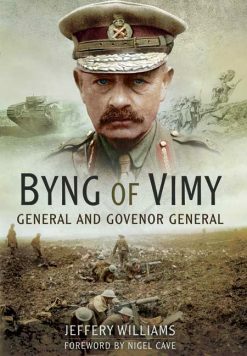 In this overdue assessment of this many faceted and extraordinary man, the author has enjoyed the co-operation of Bernard Vann’s family and conducted extensive research including tracing papers and diaries of his fellow officers, colleagues and acquaintances. 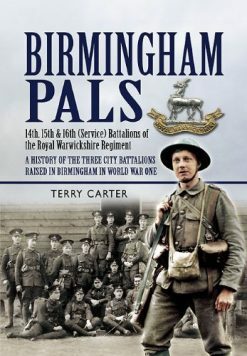 One chapter is devoted to an assessment of the other five hundred ordained Anglican clergymen who volunteered for service in the British and Imperial armies other than as chaplains. Forty-three are known to have been killed or died in the conflict, including thirty-six in the infantry. The details are based on the author’s original research and have never been published previously.